Use these Mother’s Day tea party ideas to help you celebrate your mom! Includes an easy twist to traditional cucumber sandwiches. Last year, Mr. B and I took our moms out for a Mother’s Day brunch. It was nice but super busy. When everyone’s mother is being celebrated on the same day, restaurants are going to be swamped. My guess is at a lot of homes, moms do the cooking. This year, I was thinking of throwing a Mother’s Day tea party. My mom is of Scottish heritage and Mr. B.’s mom is Irish (1st generation) – both of them like to drink tea, naturally. 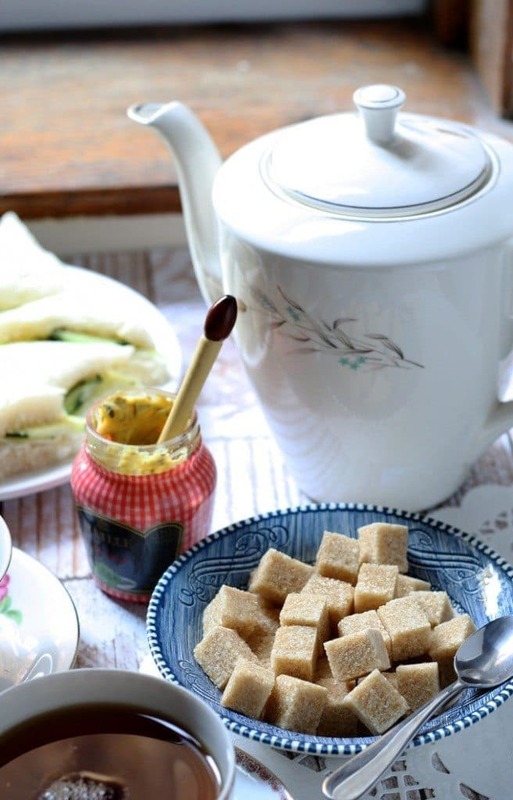 I’ve gathered all of my Mother’s Day tea party ideas for you here, in case you want to throw a tea party too. 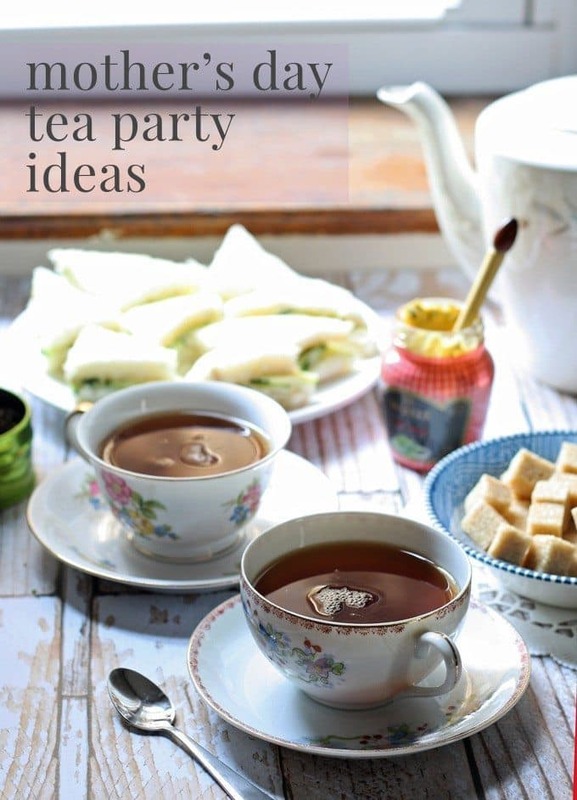 The best tea party food fits into the finger food category. 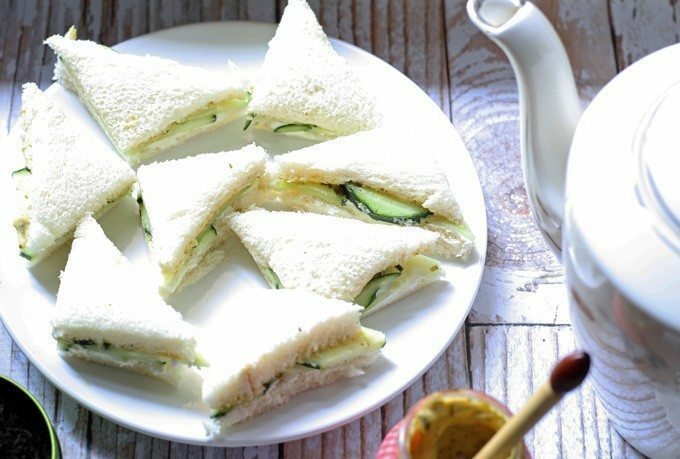 I made these adorable tea sandwiches with classic white bread, softened goat cheese, cucumbers and some mustard with white wine and fine herbs I received from Maille. 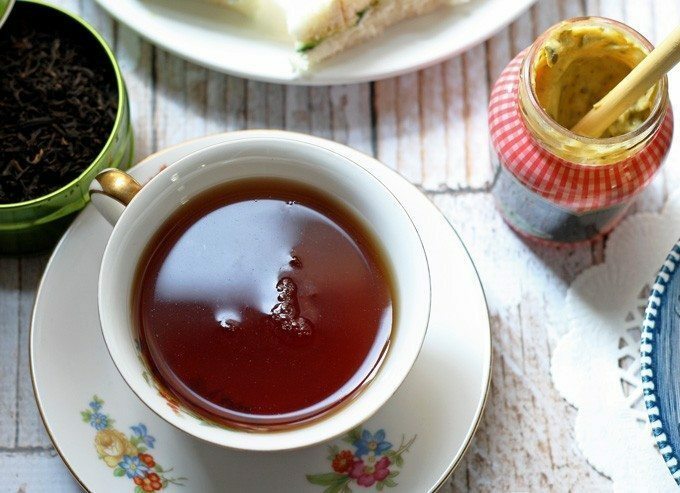 Scones are also great tea party food because they are lovely when dipped into hot tea. I love these pumpkin spice scones and also, these blueberry chocolate chip scones. I want to say that you should only drink tea at a tea party… but I suggest water at least. If you’re looking for a little variety, add lemonade and mimosas to your menu. Since this is a tea party, it’s important to talk tea. I received a beautiful sample of loose teas from Palais des Thés and they are yummy, fragrant and perfect for every day, in addition to special occasions. To make “the moms” here happy, I bought empty tea bags so that we could use that to make our tea. I wish I had a loose tea infuser because that would be perfect. There are several ways to add decorations to your tea party. One of the easiest ways is cute tea cups. I always want to skip the matchy-matchy look and stick with an eclectic vision. Thrift stores are great places to look for mismatched cups, bowls and tea pots. If you are using store bought tea bags, make them a little fancier with printable Mother’s Day tea tags. Set out sugar cubes instead of loose sugar and a doily or two and you’re all set. For more party inspiration, check out this post with lots of entertaining tips!